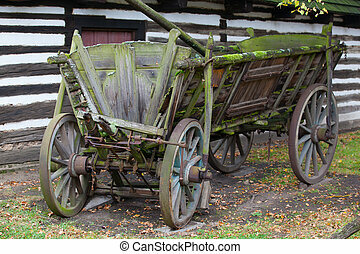 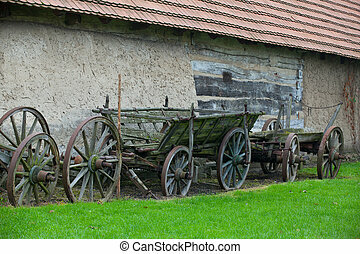 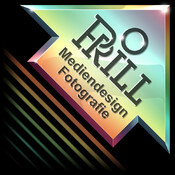 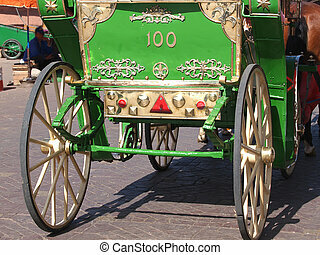 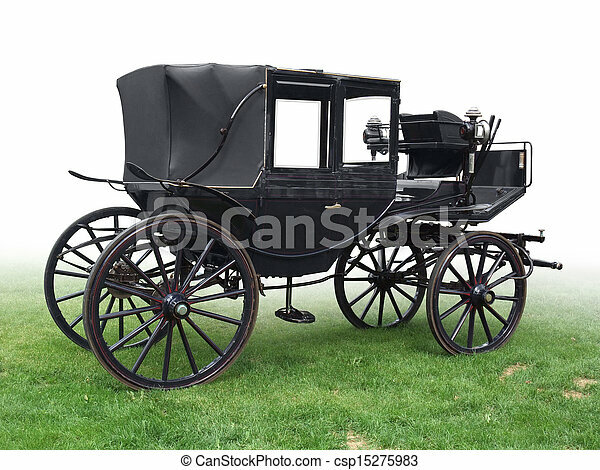 Black historic carriage on green grass, gradient isolated on white. 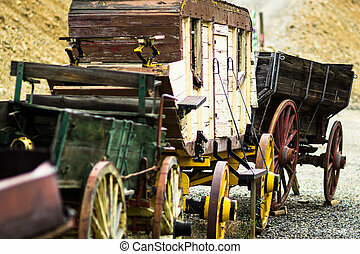 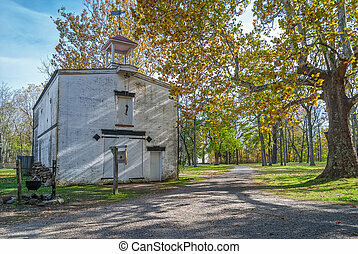 The historic Carriage House in Allaire village was a stage coach stop dating back to the early 1830's. 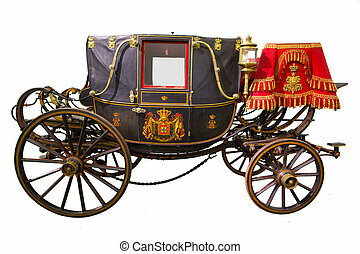 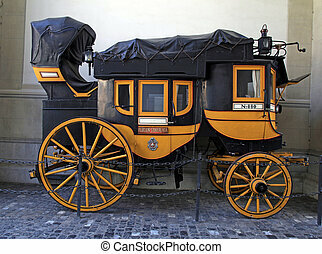 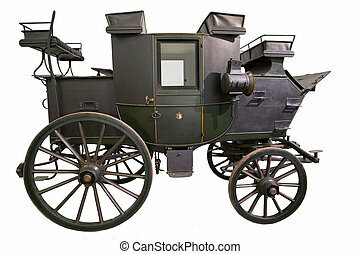 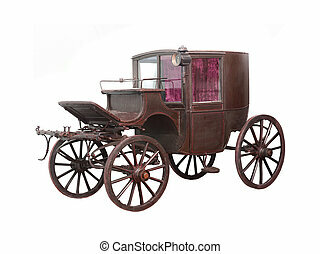 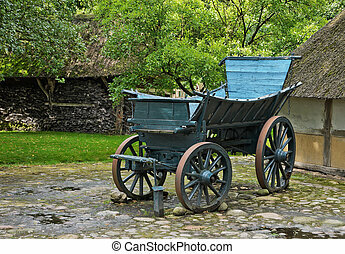 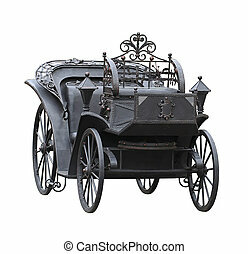 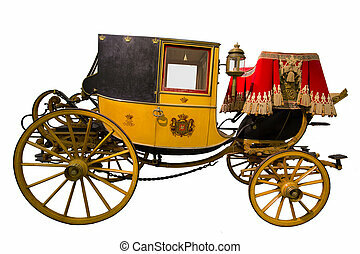 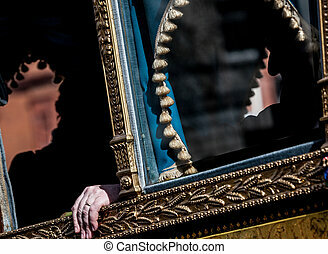 Black carriage isolated on a white background. 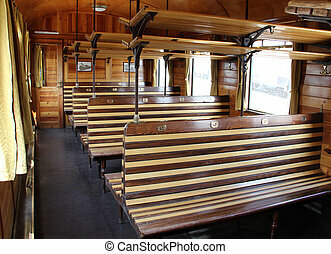 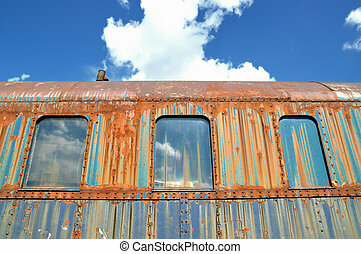 Old empty wooden benches inside the railway carriage.